We can’t ignore it any longer. More and more people are wearing sneakers every day, including me. For once, fashion doesn’t have to be contrary to comfort. I love high heels, but it’s so great to wear easy going shoes and still look ‘cool’. Women can even combine them with a skirt or men with a chique costume. You can’t go wrong. Personally I’m a big fan of the Nike Air Max 1 collection and I’m not embarrassed at all to wear them at work. But this article isn’t just about shoes. It’s about the whole culture and history of sneakers. 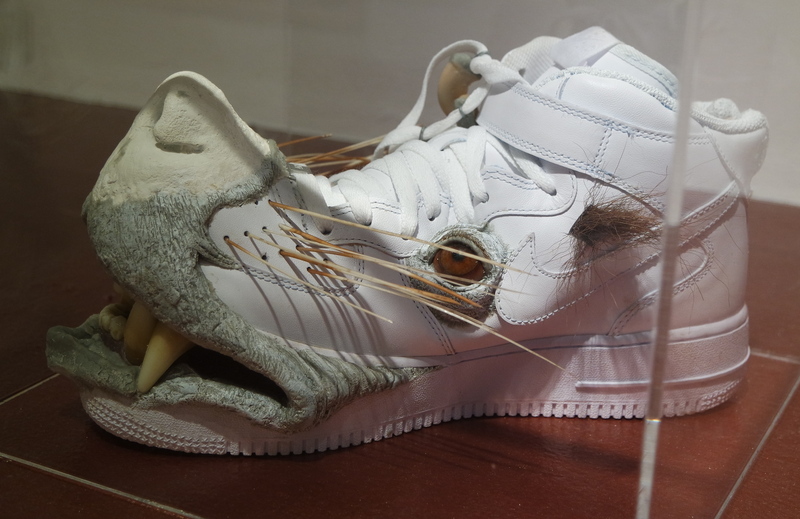 I visited an exhibition called ‘SNEAKERS!’ at ‘la Médiatine’ in Woluwe-Saint-Lambert. I didn’t have very high expectations of the exhibition since it’s rather far from the center of Brussels and I thought it would be quite small . But let me tell you this: I loved it! Let me start by showing you some of the sneakers I could wear myself. A lot of the shoes come from private collections so you can’t buy them in the store. Nike Air Max 1 in the color gold! Yes please … These are from the collection B. Vangheluwe in Brussels and they are called ‘Air Liquid I SP Liquid Gold, Nike 2013’. It seems like they were actually worn for some time. This is a higher model, but I don’t know the brand. I’ve noticed that there were not so many sneakers in the collection that I would wear myself. I saw a lot more wearable shoes for men. These look a bit red, but they are in brown leather. Very classy. 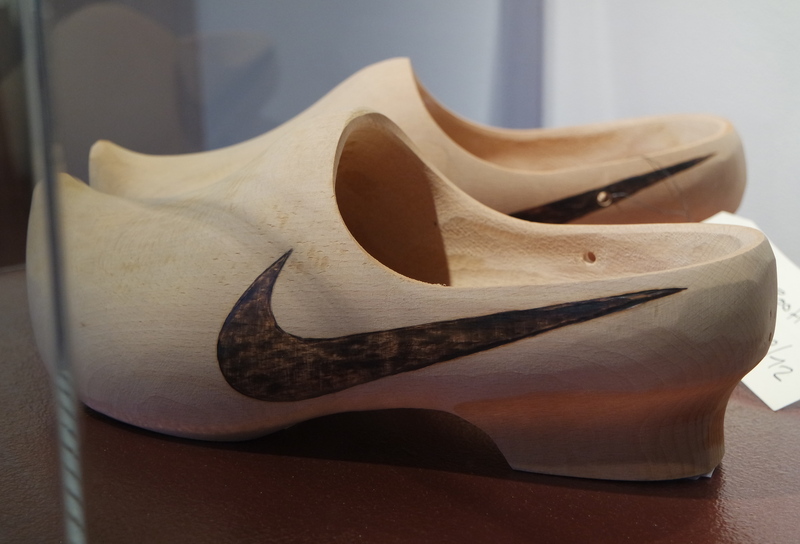 Nike Air with wooden sole. These aren’t actually wearable, but they could be if the sole would be made from rubber looking like wood. These were designed for the exhibition by KOOL KOOR and are called AIR KOOR 15. Chanel sneakers with lace shoelaces. You can see the Chanel logo in the mirror. Dior ‘sneakers’. 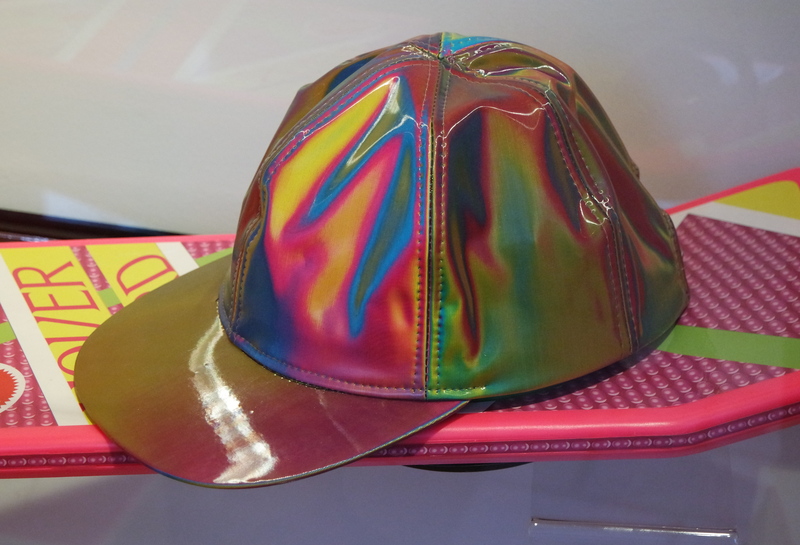 Seems like something Lady Gaga would wear. 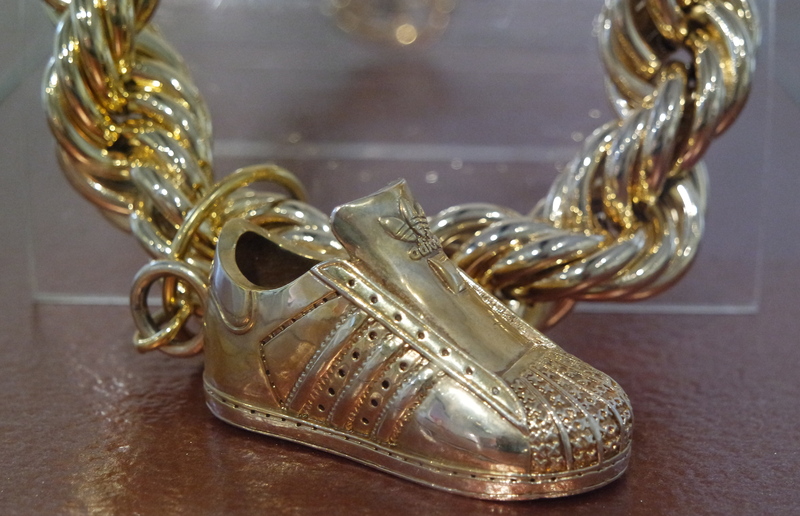 If you are wondering how shoes can be funny, think about animals and bling bling. I had a lot of fun seeing these creatures. How much bling bling can you handle? This is more like the opposite of bling bling. 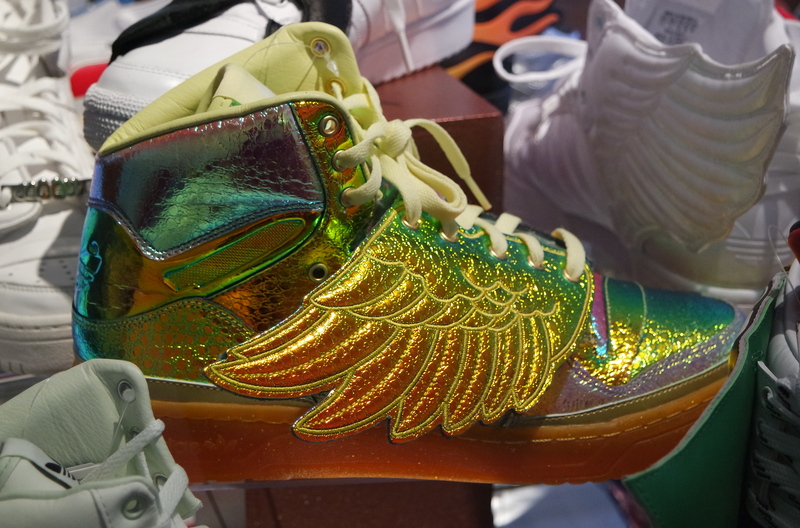 Winged Adidas sneakers. I do like the color. Winged Adidas shoes for very rich people. I’ve kept the best one for last :). Fluffy Adidas shoes for the most girly ones among us. The collection shows some shoes signed by or designed for famous people. There were a lot of really big shoes from basketball players that had their signature, but forgive me, I don’t know anything about that. Adidas signed by Run DMC. Shoes designed for Muhammed Ali. The exhibition showes a lot of artworks from different artists who have a vision on the sneaker culture. Let me show you my favorite ones. 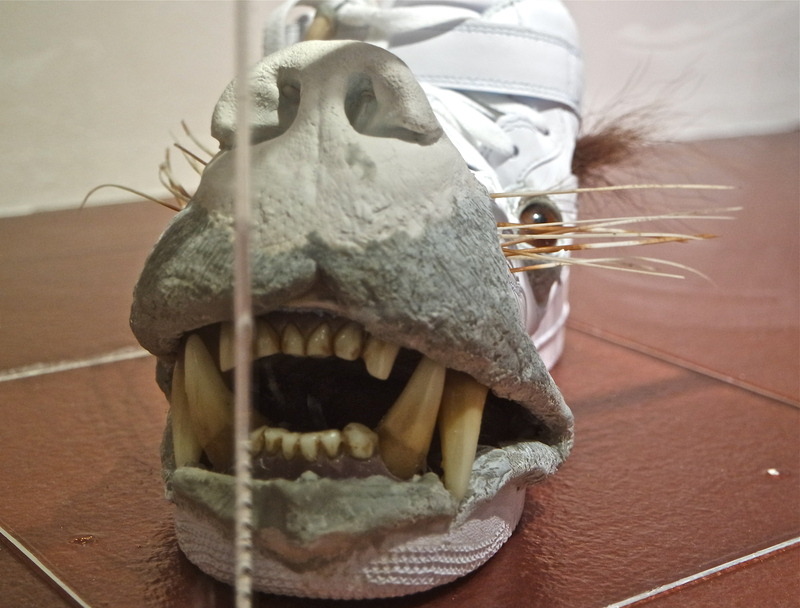 Mask made of sneakers. The artist is called Freehand Profit (or Gary Lockwood). His work is al about the Hip-Hop culture. There are lots of other impressive artworks to discover, but I can’t show you everything in one article. Upstairs we learn more about the sneaker culture. There is a video about the connection between music and sneakers and they show some extravagant examples. We see a glimp of the sneaker collection of Missy Eliot. She keeps her most exclusive ones in a sport car that stands inside her living room, like a shoe closet. 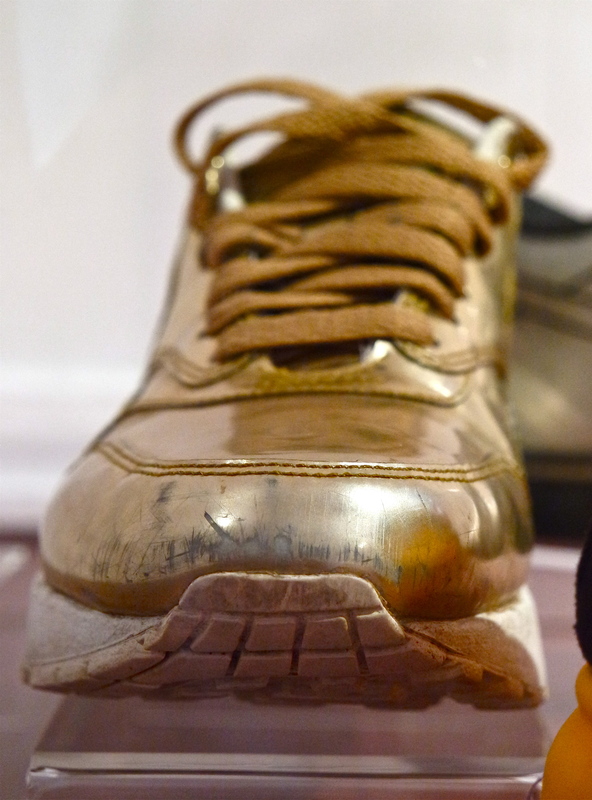 Learn all about the sneaker culture when visiting the exhibition. It’s a bit far from the center of Brussels, but it’s absolutely worth it. And it’s free. You can go everyday from 12 am until 17 am, except on mondays, until the 2th of June, 2015.
good article ! when is your next one? Hello, thank you for your interest! I try to upload an article every Sunday. The next one will be about discovering Art Nouveau in the streets of Brussels. About the Sneakers article: The second pair of shoes (the higher model in white and gold) are handmade by Alain Mukendi. For more info: http://alainmukendi.tumblr.com.